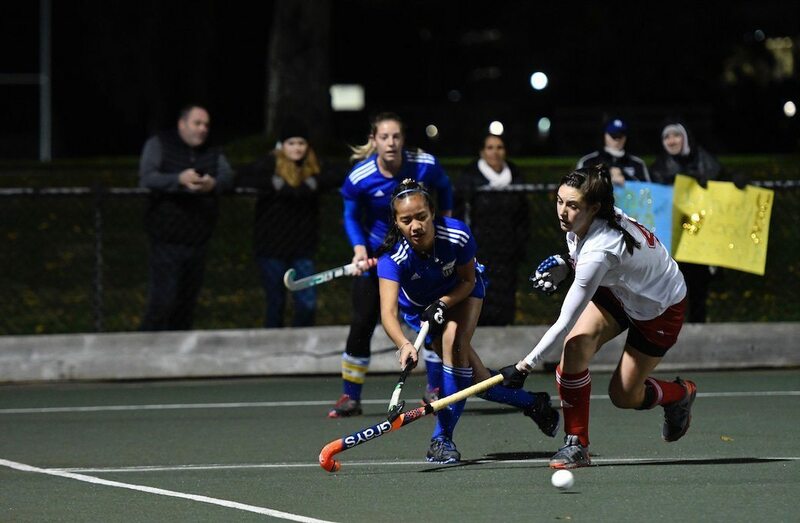 A goal by Niki Best in the dying seconds of the first half stood up as the winner, as the UBC Thunderbirds defeated the York Lions 2-0 in Game 1 of the 2017 U SPORTS Women’s Field Hockey Championship played at UBC’s Wright Field on a cold and damp Friday evening. Today was definitely a battle. The conditions weren’t the greatest, but both teams made the best of it and really put up a good fight. The win for the Thunderbirds means they are one win away from hoisting their seventh straight McCrae Cup, as the two teams will meet again Saturday at 7 p.m. ET. 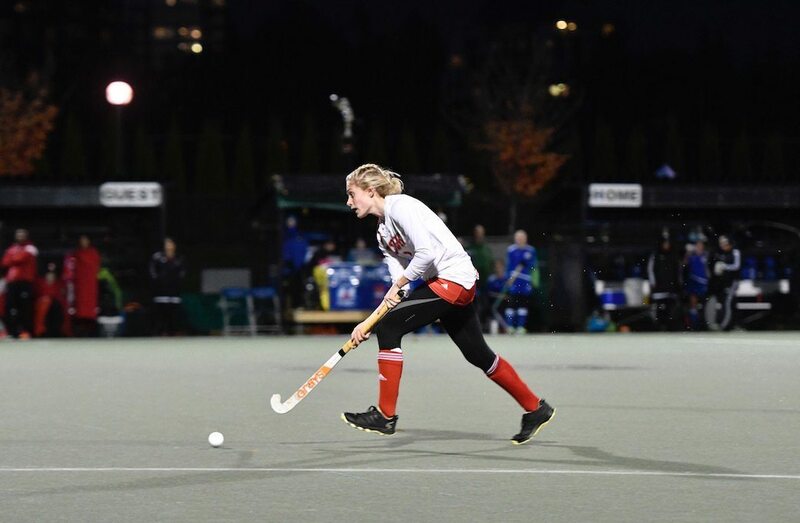 The possession was dominated by UBC in the game’s opening minutes, including a great chance coming off the stick of defender Sophie Jones on a penalty corner, but the shot was neatly kicked aside by York goalie Brianna Fequet. 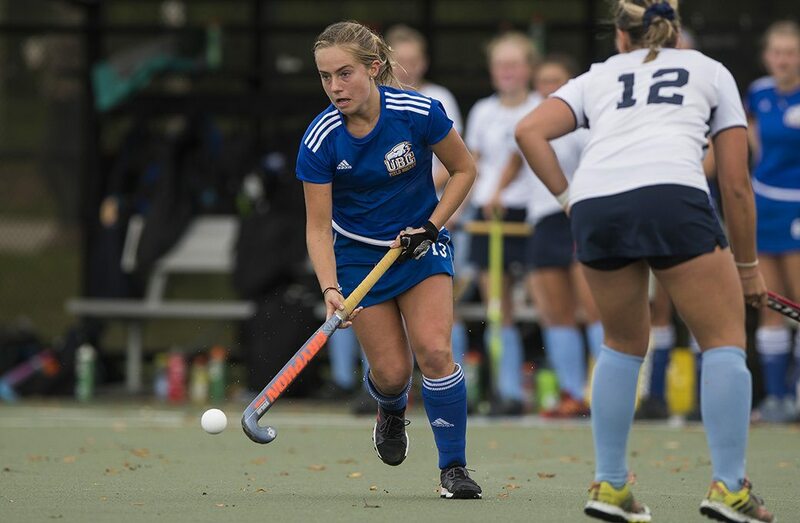 Fequet was sensational in the first half, most notably on a flurry of Thunderbird chances in the 13th minute when she kicked away a Margaret Pham shot to the far post and followed that up with a lunging save of a MacLellan deflection. As the clock counted down to halftime, Best scored her stunning goal. A screaming shot was sent in from the wide side of the field and Best put a deft deflection on the ball, sending it hurtling over Fequet’s left shoulder. The goal seemed to fire up the Lions, who played with passion and purpose throughout the second half. 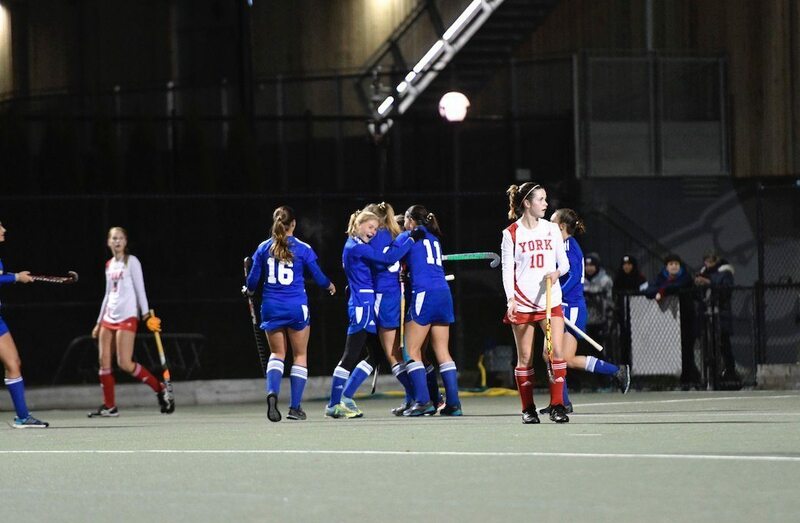 York’s best opportunity to score came in the 61st minute, when Michelle Per drove a pass across the face of the UBC goalmouth. The ball was deflected up and over UBC keeper Rowan Harris, but the referee deemed that it was deflected in off a York player’s foot and the goal was disallowed. UBC got an insurance marker in the 67th when some intricate passing between MacLellan and Jones culminated with Jordan Faiczak driving a low shot into the back of the York net. Sara Vollmerhausen’s stout defensive play, especially in the first half made her the player of the game for York. The two teams will play a pivotal Game 2 of the best-of-three series on Saturday at 8 p.m. ET, once again at UBC’s Wright Field.